Sharpen your trading edge and enhance your profit strategies with this comprehensive cross-platform chart reading guide. Understanding charts is the foundation of any successful trading strategy whether you’re investing in cryptocurrency, stocks and more. Your ability to extract key information quickly will be pivotal to your ability to not only make a profit, but repeat your performance time and time again. Giving you a complete framework from which to understand price movements like never before, The Art of Chart Reading teaches you the skills of a professional day trader or swing trader in a single afternoon. With universal techniques that are applicable to FOREX, futures, stock market and cryptocurrency markets such as bitcoin, you’ll have the skills you need in an ever-changing world. 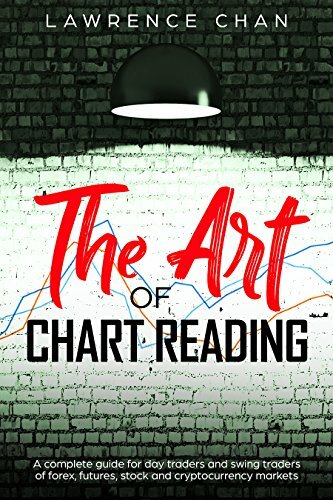 The Art of Chart Reading fills a void that no other trading book has addressed to date, and does it all in an easy to follow manner that guides you every step of the way. Whether you’re a beginner or a seasoned market pro looking for a refresher, this is the best how-to book that will show you how to undertake a logical and objective analysis of any market at a glance.